Headed to the International Builders’ Show (IBS) next week? We’ve put together a preview of 11 new products that will be displayed at the show. As one of the largest events in the industry each year, IBS brings together more than 1,500 top manufacturers and suppliers and 85,000 industry professionals for a week of networking, education, and, of course, new and innovative products. IBS will be co-located with the Kitchen & Bath Industry Show for the 6th consecutive year to form Design and Construction Week in downtown Las Vegas from February 19-21. The product manufacturers are bringing their best selections, filling three halls with demos and displays of their latest innovations in technology and design. Seeing all of this, plus all the education sessions and events, in just three days can be a daunting task. To get you started, here’s a preview of 11 building products that will be on display at the show. LP is introducing the WeatherLogic Air & Water Barrier system at IBS this year. The 4-by-8-foot engineered wood structural wall panels have an integrated weather-resistant overlay that is breathable to allow moisture to escape the walls. The easy-to-install barrier protects homes during construction, provides a clean jobsite, and improves the energy efficiency of the home. Seems between panels can be secured with the company’s acrylic WeatherLogic Seam & Flashing Tape. 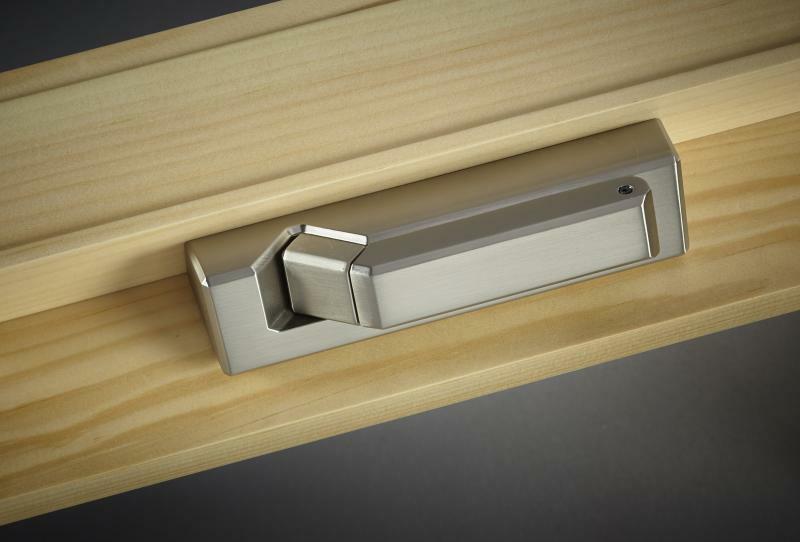 The window and door manufacturer is adding new hardware options to its VistaLuxe collection for IBS, including the Ashlar handle. The new handle comes standard on all VistaLuxe casements and awnings, and is also available on the company’s Ultra Series and Heritage Series products. 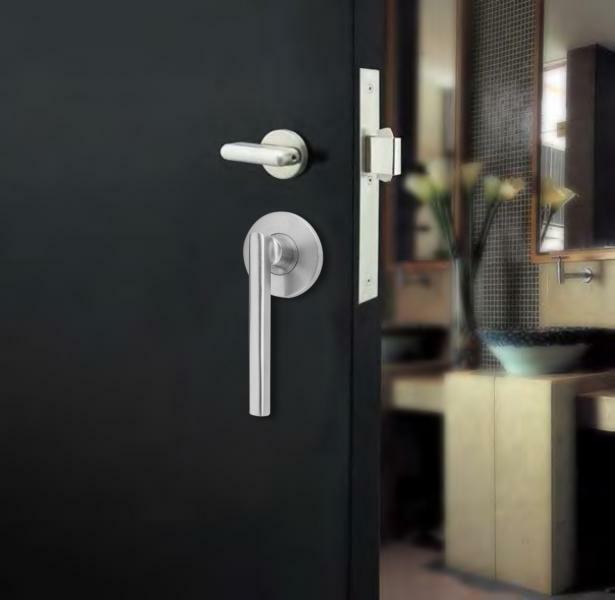 The metal crank-out handle is available in white, satin nickel, rustic umber, and matte black finishes. The Maximus Answer DualCam Video Doorbell features two cameras, eliminating blind spots and providing a 155-degree field of view. A speaker can play messages and allows for two-way communication when partnered with the Kuna smartphone app. The company says the doorbell uses less power than other video doorbells and can be controlled via Google Assistant and Amazon Alexa. Maximus offers a two-hour download and “look back” window without a premium subscription fee. The company is releasing the new Whitecap color option for its LedgeCut33 stone surfacing at IBS. 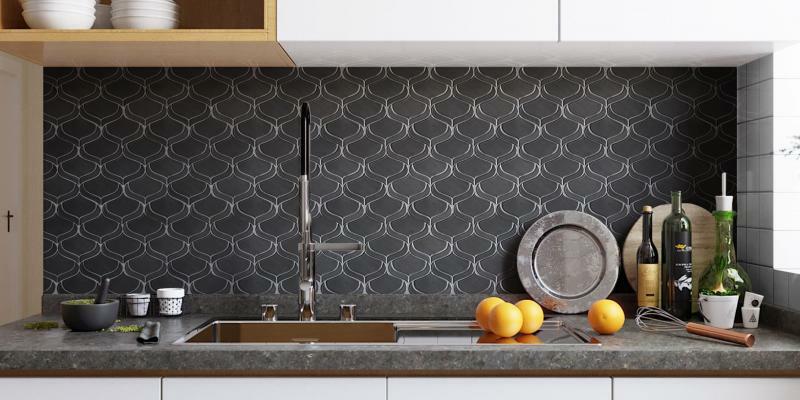 Inspired by crashing waves and sand, the surface incorporates warm coppers and muted blues. 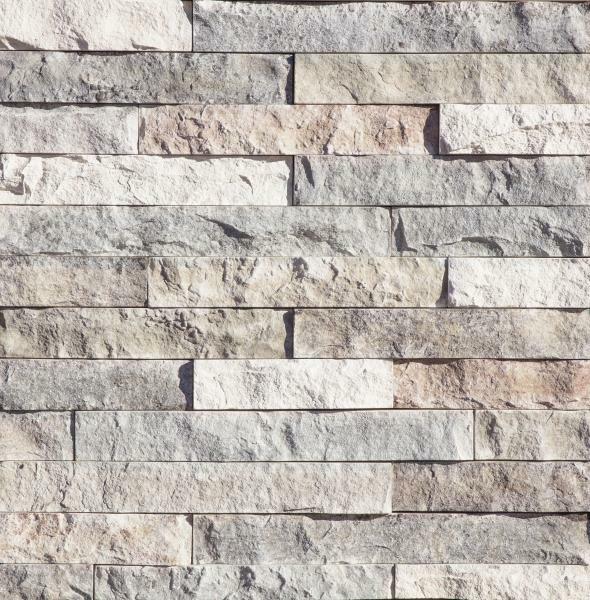 The LedgeCut33 surfacing is designed for a dry-stack installation and includes flat pieces and 90-degree corner pieces. The pieces have a height of 3 inches and come in three different lengths including 12, 18, and 24 inches. 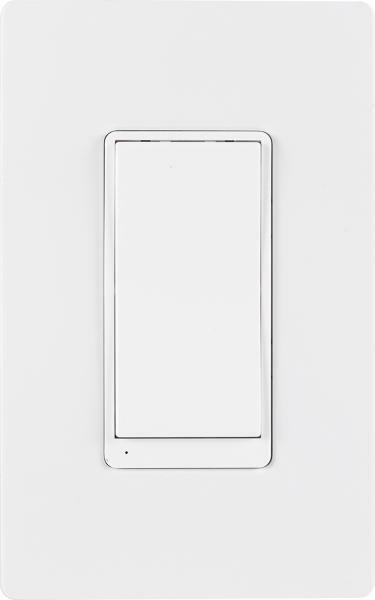 Jasco is introducing a Wi-Fi smart dimmer to its line of myTouchSmart products at IBS. 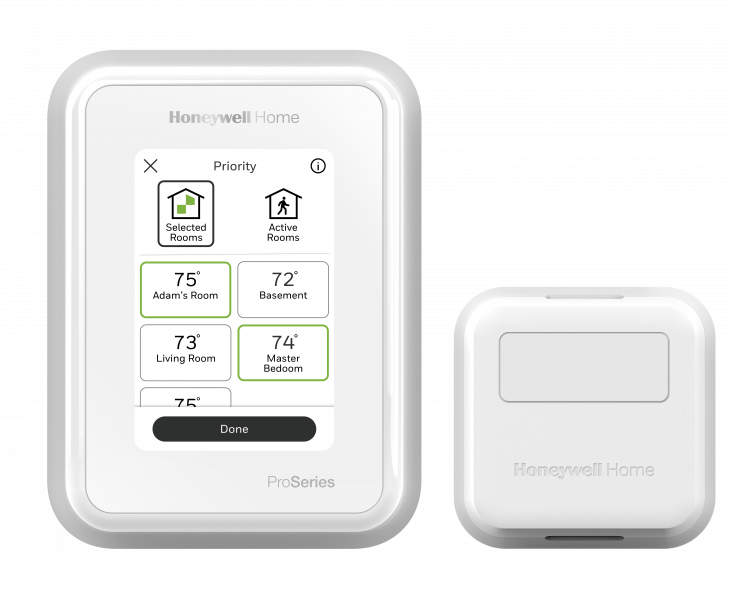 Homeowners can use the In-Wall Wi-Fi Smart Dimmer to create lighting schedules and presets, set a 24-hour countdown timer, and access a full range of dimming. The dimmer monitors sunrise and sunset times and automatically adjusts program schedules. It can be controlled by voice via Amazon Alexa or Google Assistant. 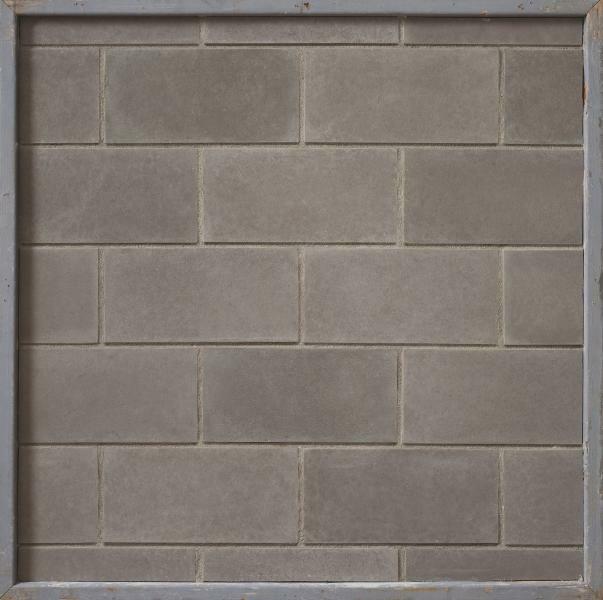 Cultured Stone’s large-format, European-inspired Cast-Fit surfacing is getting a new color option at IBS. Carbon features rich gray hues and joins the product’s two other lighter color options. The pieces are available in two sizes, including 8 inches by 16 inches or 12 inches by 24 inches. The new color will be available in April 2019. The Artisan Shingle is the latest addition to the company’s Aspyre Collection. 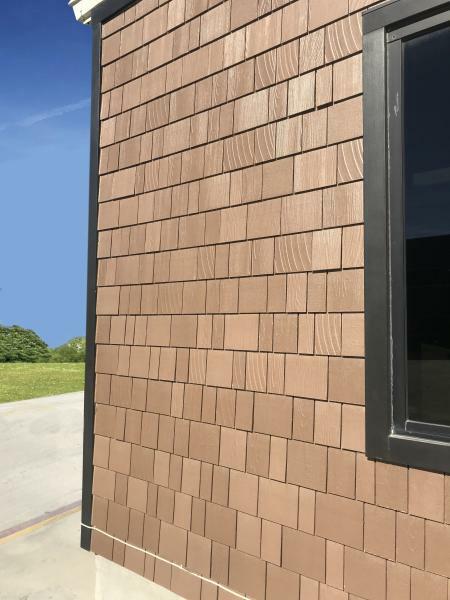 It mimics the look of traditional cedar shingles and the durability of a fiber cement composite material. It is available primed or with the brand’s ColorPlus Technology, with a realistic two-toned look. Different models are available for different climates. The PD9000 Sliding Door Lock features a entry lock while also allowing for quick emergency exits. The deadbolt can open from the inside and is ADA-compliant. It features a hardened knurled brass nut for strength, a cast stainless steel sub-rose with threaded rose covers for easy installation, and a wire torsion spring for longevity, the company says. 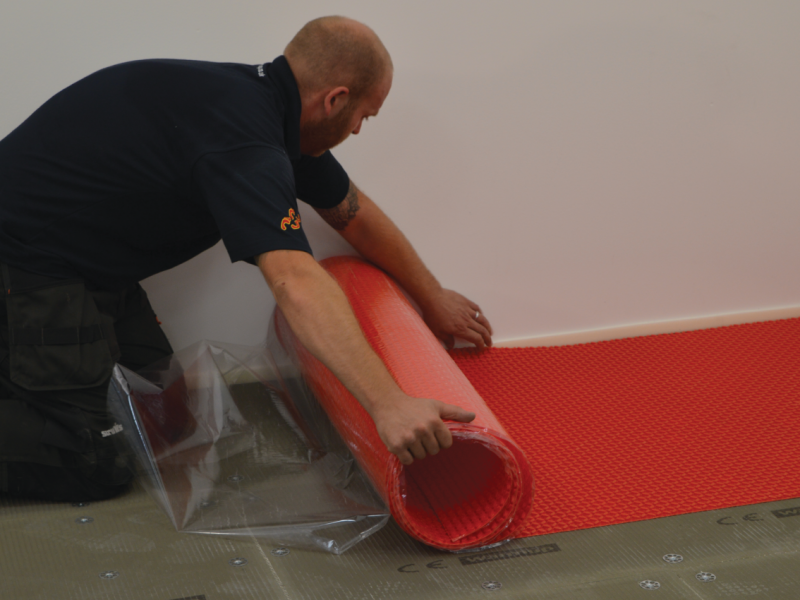 The DCM-PRO Membrane protects from damage to floor tiles by adding a layer between the subfloor and the floor finish. The product is tested to ANSI 118.12 standards and is the highest-rated membrane for floor heating systems. It comes in fleece-backed or peel-and-stick models for different installation preferences. Emser will be showing off four new tile collections at IBS, including Rhapsody, Myth (shown), Divine, and Hollywood. Myth includes geometric patterns inspired by retro patterns. I’s available in Arabesque (shown), Petal, and Wave ceramic motifs in white, light gray, and pewter tones.